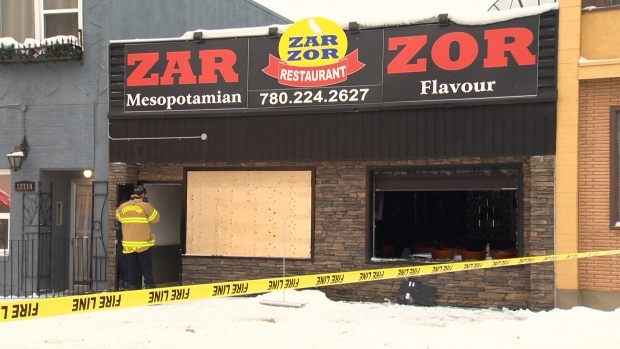 Fire crews were called to Zar Zor, a restaurant near 121 Avenue and 90 Street, Wednesday morning. A fire at a northwest Edmonton restaurant is being investigated by the police arson unit. Edmonton Police Service was called to Zar Zor, at 121 Avenue and 90 Street, around 8:30 a.m. Wednesday. There were no injuries, although neighbouring buildings were briefly evacuated.